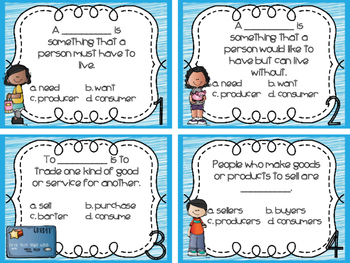 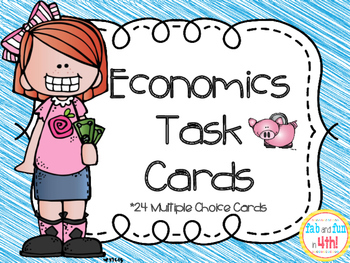 24 Multiple Choice Task Cards with Economics Terms. 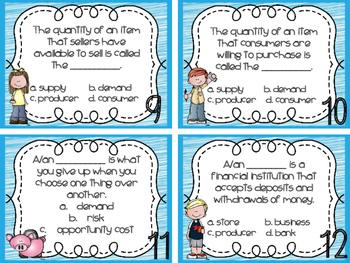 want, need, barter, producer, consumer, economy, free enterprise system, profit, supply, demand, opportunity cost, bank, bond, credit, debt, interest, loan, mortgage, recession, stock, taxes, entrepreneur, income, and savings. 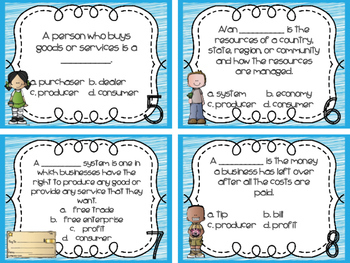 Recording document and answer key are also included.